Congratulations! You’re pregnant! But now what? You have infinite questions about what this means for you and your baby over the next 9 months. Many of the answers to your questions pertain to prenatal care, that is, how you should take care of yourself and your baby while it is happily growing in the womb. Your developing embryo, then fetus, and then baby is very sensitive to the foods you eat, the chemicals you ingest or absorb, and the lifestyle you live while s/he is growing inside. As such, the earlier you know you’re pregnant, the sooner you can begin the prenatal care that can help you and your baby remain in top form throughout your pregnancy and labor. What types of things are considered pre-natal care? Regular appointments with an OB/GYN and/or Midwife. As soon as you find out you are pregnant, it’s time to begin searching for the OB/GYN and/or Midwife that is right for you. Begin asking friends/relatives for referrals, read online reviews and conduct your own interviews. You are going to develop an intimate relationship with your prenatal and labor healthcare team so it’s important you feel comfortable and empowered by your appointments. 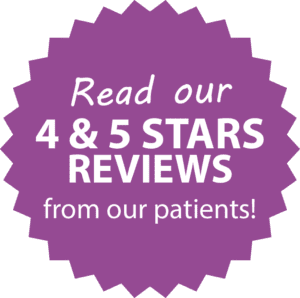 Once you have chosen your prenatal healthcare provider, s/he will be able to answer questions, educate you about all things pregnancy and birth-related, and make recommendations regarding your diet, exercise, and lifestyle choices for the next year or two. Abstaining from smoking, alcohol, and drugs. Your risk of miscarriage is significantly higher if you smoke, drink, or do drugs. Mothers who continue these behaviors are more likely to have babies born with birth defects. Their babies are also more prone to developing debilitating medical/behavioral conditions. Even second-hand smoke is linked to health problems. This is a great opportunity to quit unhealthy habits once and for all. Diet. Your diet is a critical element of prenatal care. You already know that you are what you eat, but now your developing baby is what you eat as well. Try to eat as many organic, whole (meaning not processed) foods as possible. Pregnancy diets should be rich in proteins including some seafood items, vitamins and minerals. Your healthcare provider may also recommend pre-natal supplements to augment your diet. Tired of hearing contrary opinions about what you can and can’t do during pregnancy? Exercise is not only a “can do”, it’s a “please do” in our office. We love yoga and walking as options. Exercise increases circulation, prevents swelling in the joints and limbs, keeps your muscles and heart in good shape so you can more comfortably accommodate your changing body and helps you maintain the stamina required to give birth to a healthy baby. Here is our guide to Safe Exercise During Pregnancy. If you’re looking for a prenatal care provider, contact Overlake OB/GYN. Our staff of doctors and midwives look forward to assisting you on this amazing journey.